Always been a fan of the unusual, baffling or hilarious stories that appear in local news outlets. I wonder if any other readers enjoy them as much and if so, why not share them here? We do live around the country so the net should be pretty wide. 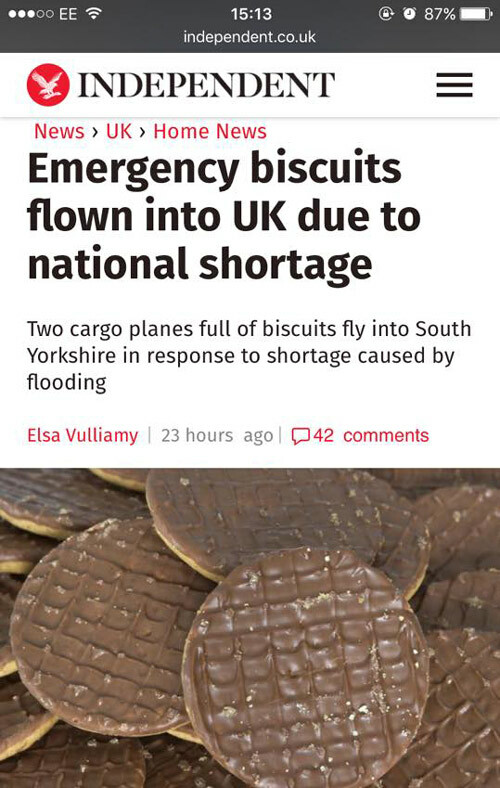 The most British headline you could think of. Tmyers123 wrote: The most British headline you could think of. Wonder if it was this that inspired Yorkshire tea to release 'Biscuit Brew'. Yes - that's a thing. Going back to the early 90's I used to work night shifts and the favoured listening between 10pm and midnight Monday to Friday was Mark (Mark Radcliffe )and Lard's show on Radio 1.They had a semi regular feature comprising of small ads from local newspapers. The one I always remember was "Offers wanted...Very large piece of foam rubber.Unwieldy but safe." 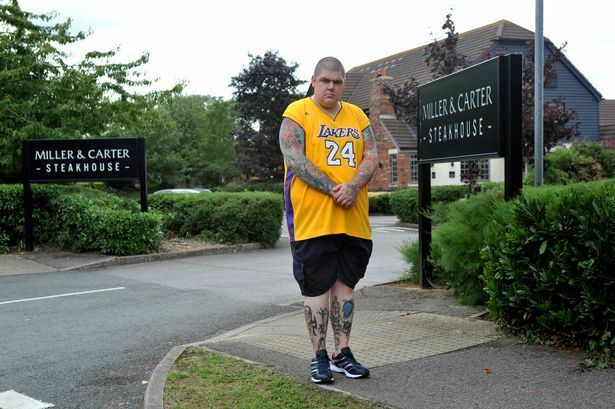 A Miller and Carter customer says he won't be going back to the steakhouse after it "reminded him of its dress code" during his visit. Paul Bruton, 29, wanted to treat his fiancée at the restaurant, which has a smart casual dress code. He was wearing his Los Angeles Lakers jersey and shorts – and he is furious after a member of staff commented on them. Mr Bruton later wrote to the restaurant: “I was wearing shorts and a sleeveless t-shirt. That surely counts as casual. “And my clothes were not dirty, ripped or covered in crap, so surely I met the smart bit too. Fire at Warburtons factory in Newcastle smelt of "burnt toast"